Are you interested in forming a new HRCAV Club? 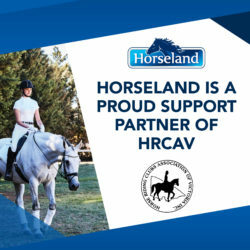 The HRCAV is an association of horse riding Clubs. Membership of the Association is open to Clubs or bodies that embrace the objectives of the Association. A New Club Kit for Clubs or Associations interested in joining the HRCAV is available upon request from the office. Are you interested in joining an affiliated Club? Membership of an HRCAV Club will allow you to participate at Club rallies and clinics and compete at HRCAV events. From Horsham to Orbost, Albury to Eltham and all parts in between, you are likely to find that there is a Club in your area. Many Clubs have links on our website. 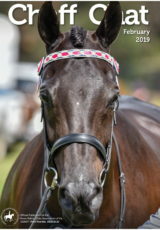 Please note that you cannot join the HRCAV direct – you will need to join an affiliated Club. All fees, including the Club fee and the HRCAV levy and insurance component, are paid to your Club. Club fees can range from $25 per year to $300 per year depending on what services are provided to the members and how the Club is structured. Some require full fees at the start of the year while others have a pay as you ride system. Enquiries regarding the fee structure should be directed to the Club. *Chaff Chat is not a compulsory charge. Pro rata rate of $5.25 per issue applies from January 2018.